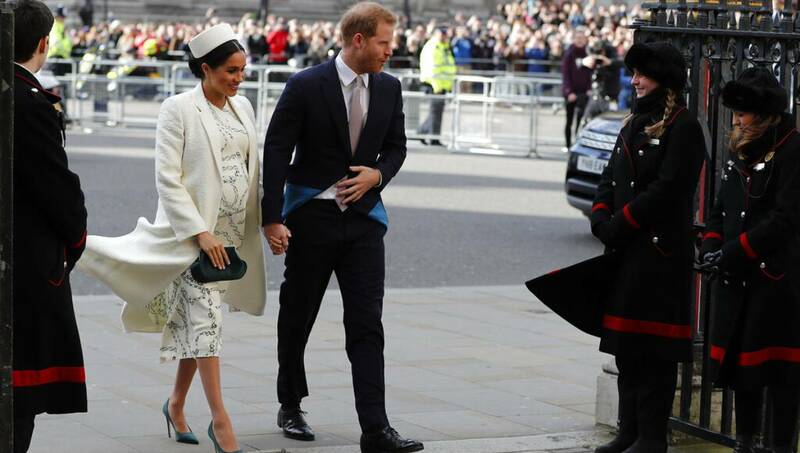 Photo: Britain’s Prince Harry and Meghan the Duchess of Sussex arrive to attend the Commonwealth Service at Westminster Abbey on Commonwealth Day in London. London, Apr 14 : Prince Harry and Meghan, the Duchess of Sussex, may be keeping plans about their impending baby under wraps, but that hasn’t stopped everyone in Britain from trying to guess the gender and the name of their first child. “(Meghan) would like to convey herself as regal — we feel she would not go with a weird name like ‘Sunshine,'” he added.